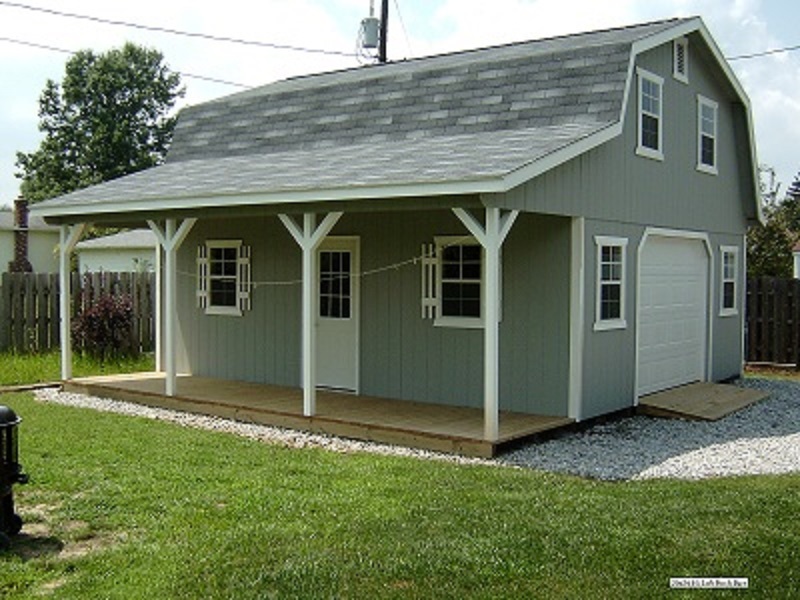 This is a small house structure with a barn home basis. 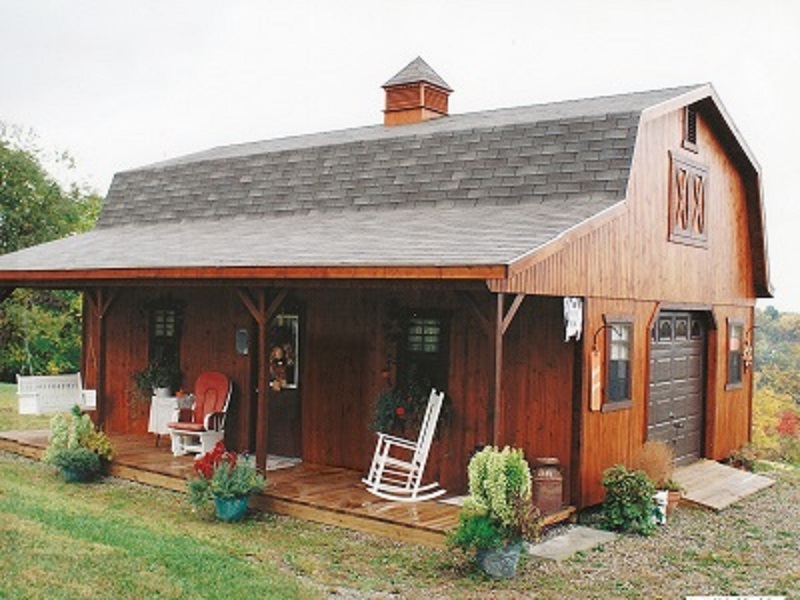 It’s an Amish barn house from, you guessed it, Amish Buildings. 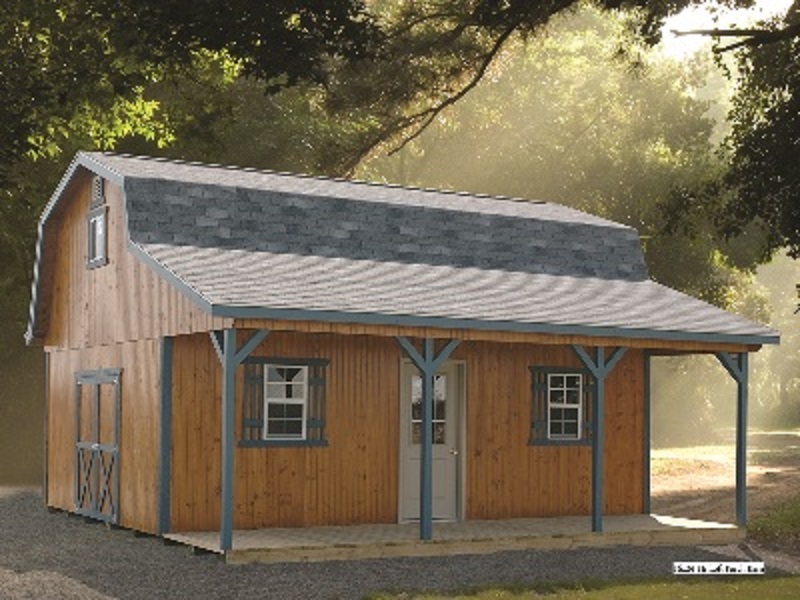 This one is a “Hi-Loft Porch Barn” model. 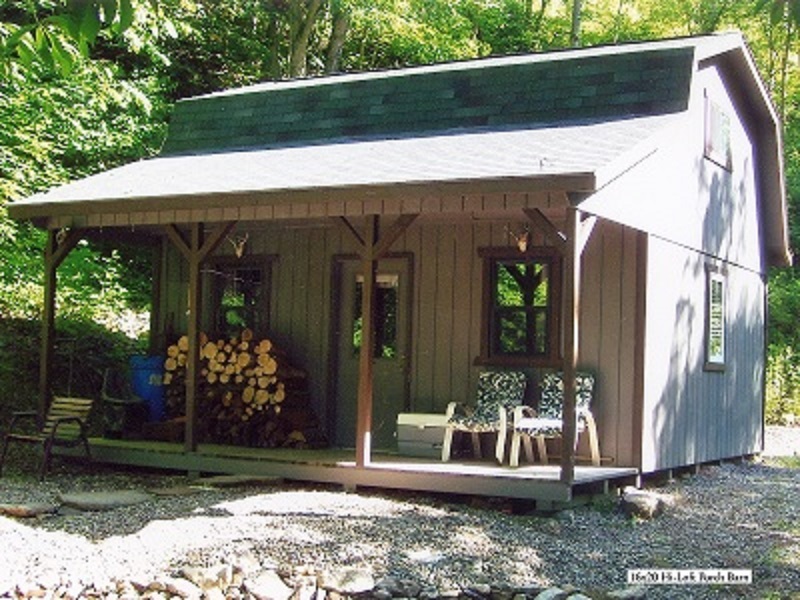 A lot of people are looking at these small houses, and alternative buildings styles in general. For some its the cost, for some its the rustic look they’re looking for. 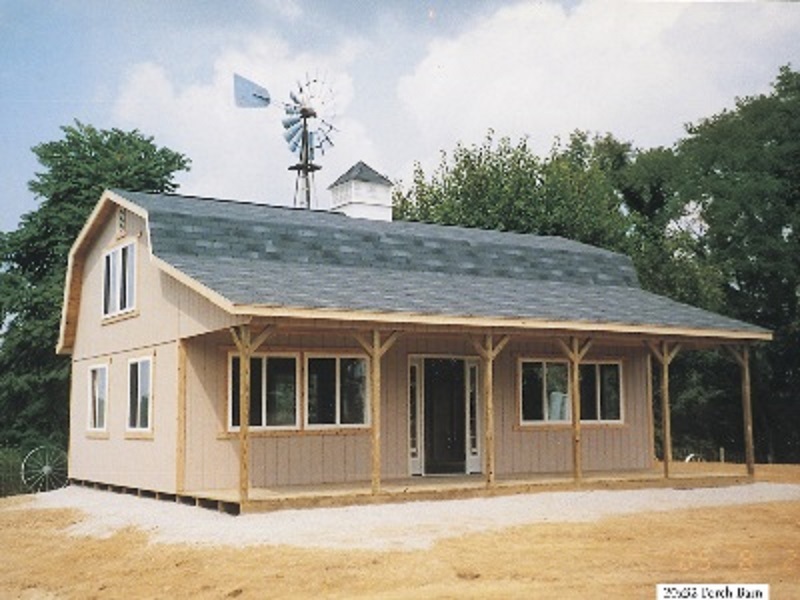 And if you end up building another house, you can use a barn house as a barn later, or storage, or a guest house, or ship it out for someone else to buy as a house. And who’s to say you can’t update the building a bit later with a bathroom, or a sink and fridge, or add a second unit onto it? 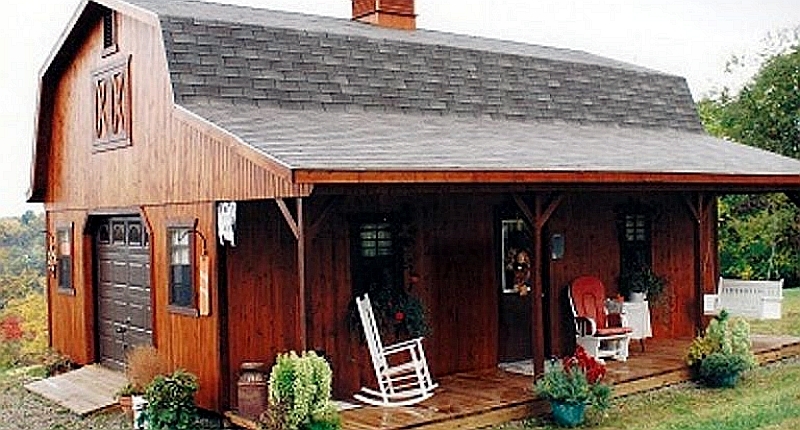 Miller Hi-Loft Porch Barns employ all the quality components of the Miller Hi-Loft Barns with the addition of an 8′ wide porch along one side. Full loft and stairway are included. The 16′ wide Hi-loft Porch Barns come with a curver stairway and landing. 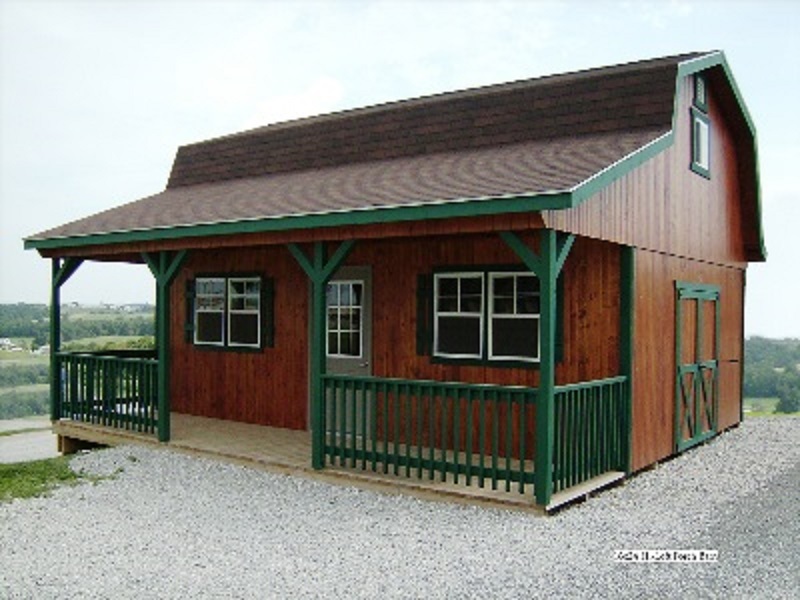 24′ wide Hi-Loft Porch Barns are also available. 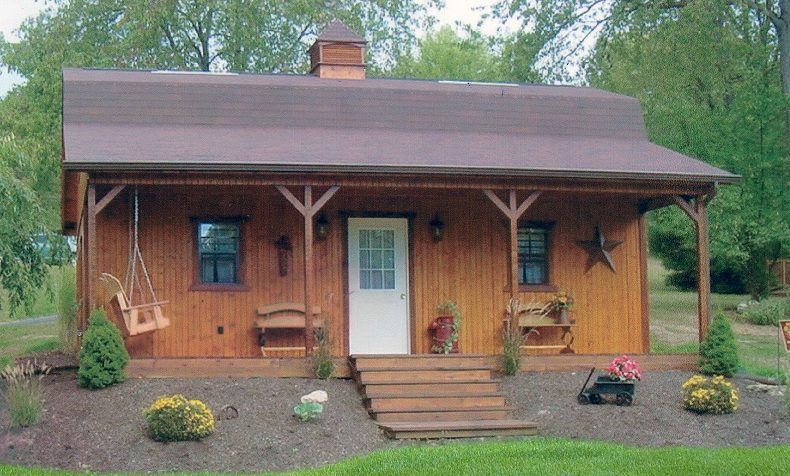 Find more from Amish Buildings, and other barn builders we’ve indexed in our Home Designers and Builders Directory. You can search the company’s name and look builders near your area. And to see more barn,click here.